The Location tab is a place to store all locations relevant to your Booking. 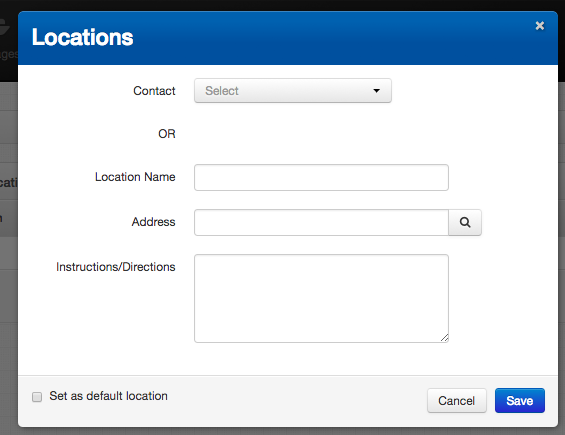 You are able to add several locations, create new locations or select from existing contacts by clicking the the Add Location button. A pop window will appear for you to fill out. All added locations appear as a list in the Locations tab. You are also able to set a default location, which will automatically appear whenever a new Schedule is added to talent. 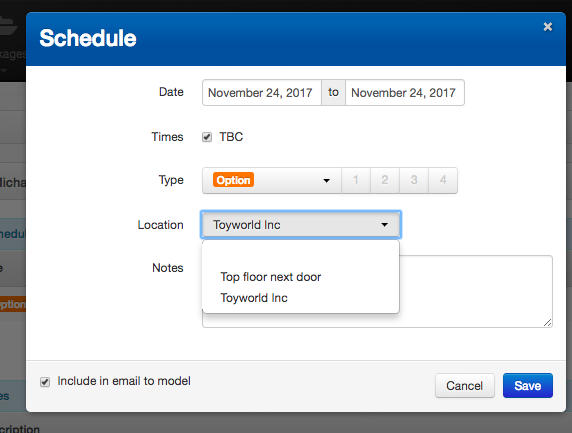 When creating a Schedule for talent, you are able to select different locations for different Schedule types. Such as the casting location, fitting location or confirmed location. These are all included in the email to talent - provided the "Include in email to talent" bock is ticked at the bottom left of the pop up.